RevitForum Blog: "Can you provide us with a sample file"
"Can you provide us with a sample file"
Here on RFO we often get questions that tend to be kind of hard to troubleshoot without the actual file to look at. So one of the most frequent responses (besides the ones providing you with a solution to your problem off course) you might get to a question is: "Could you provide us with a sample file to look at?". When it comes to troubleshooting families, this is very rarely a problem, unless you don't want to hand it over to a public forum. In that case, think about getting a private consultant to look at it. Or just lighten up a bit... But that's a completely different story all together. 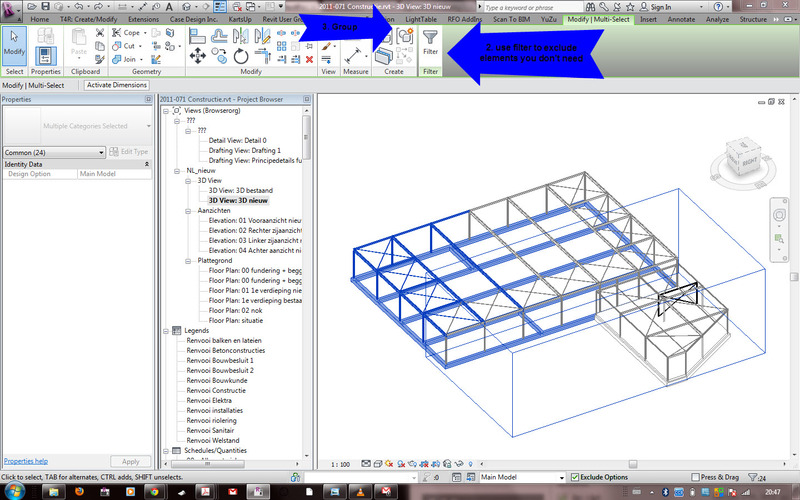 In the case of a project acting up, it might be somewhat more complicated. Off course you could do a save as, delete all unwanted geometry, views, sheets and then purge the entire thing. But unfortunately, that usually doesn't give you a small enough file either. 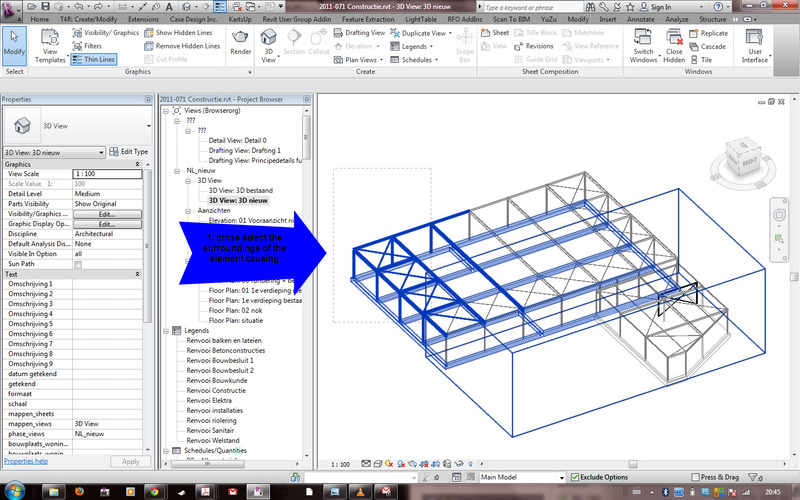 Revit has the habit of retaining a lot of data in the projects database so it stays bloated. - Windowselect the offending geometry and it's immediate surroundings. - Find the group in your project browser, right click and choose Save Group. This will save just the Group as a separate Revit project. If all is ok this file should be a whole lot lighter then the original. 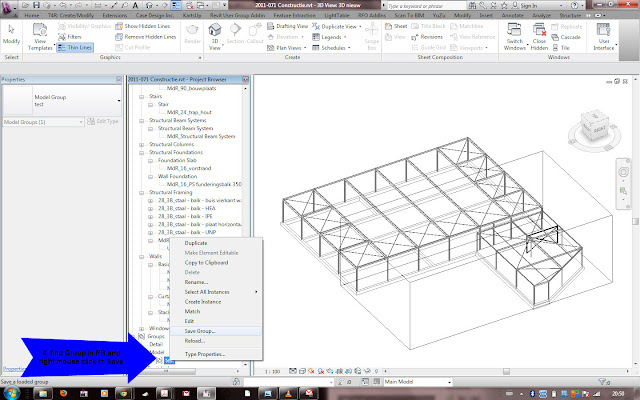 - Open the Group in Revit to see if the problem is still there. If so, you can now upload it. 1. for geometry not displaying correctly: it's a Graphics Override. You released this override when Grouping and using Save As. So check your View Template, Visibility Graphic Overrides, Phase settings and so on. Great post thank you for sharing this. fairly extra complicated. Off course you could do a keep as, delete all unwanted geometry, perspectives, sheets and then purge the complete component. but unluckily, that commonly would not provide you with a small enough file either. Rev it has the addiction of retaining a whole lot of data inside the initiatives database so it stays bloated.any other alternative, which does kill all redundant information from the database and is way faster too, is that this Windows elect the offending geometry and it's instantaneous surroundings.visit the clear out dialogue field and check off all categories you do not want to encompass organization the gadgets that stay (together with the item providing you with a headache. Why should we all pay for this forum?? ?